We are a game and media production house sewn from the fabric of creative expression. 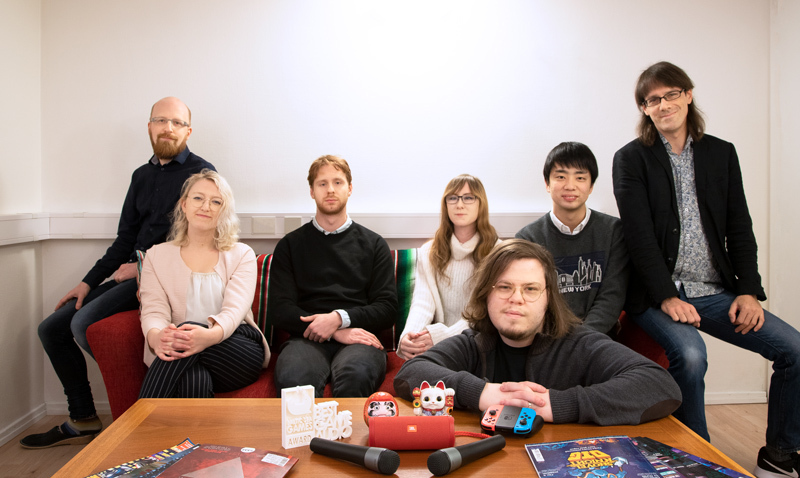 We have over twenty years of experience building music games and authoring software in Japan and Sweden. A deep love for sound, synthesis, and rhythm leads us to produce titles that bring a smile to your face and groove to your hips. Ichigoichie itɕiɡo̞ itɕie̞ (stylized 151A) is a Japanese idiom that can be interpreted as “one chance in a lifetime”. Ichigoichie drives us to treat each encounter with respect and cherish the opportunity: every day another beat, another line of code, another laugh. Our headquarters is in the center of picturesque Stockholm though we also spend a good part of time collaborating with our colleagues in Tokyo. We’re currently working on a console title that blurs the lines between gaming, art, and performance. If you’re a driven professional and want to be a part of the dream check out our jobs page for current openings. Hexagroove is a new kind of music game coming soon for Nintendo Switch. It combines elements of real-time strategy, rhythm, and action games in a creative blend of self-expression. Learn more about Hexagroove here! GaMBi is an iOS app for chiptune fans, performers, DJs, and remix artists, allowing deep customization of classic video game sound and connection with hundreds of other music-making apps via channel control, AudioCopy, Audiobus, and sample export. Learn more about GaMBi here! Are you a vocal and self-driven software developer that can help us build out a new kind of musical expression? Guide our release to the outstretched arms of gamers worldwide. Connect, weld, sand and polish so it shines. We are looking for a student of Computer Science to join our team. Help us tweet our victories and rally our allies 'round the globe. For questions, send an email to info@ichigoichie.org.